When I saw tweets that Justice Alito had written for the majority, it was also clear how the argument would be structured. Others have observed the sharp distinctions between the arguments of the majority and the dissent. It was almost as if they heard two different cases since their rhetorical focus seemed so different. As I did a summary read on the decision yesterday, I came away with three critical reflections. Stephen Colbert introduced the idea of “truthiness” the night he launched his satirical news show. His point was the facts didn’t matter because he depended on his gut to tell him what was true. It was the Merriam Webster “word of the year” for 2006, beating out the word “google”. If something feels a certain way, then that’s what matters. At the heart of the dispute over the contraceptive mandate is a concern over four forms of contraceptives that the plaintiffs “believed” caused abortions. The mandate is actually in implementation language written by the HHS in response to amendment to the Affordable Care Act dealing with women’s preventative health. [The dissent makes clear than a religious exemption amendment failed during the ACA debate.] As the case was moving its way through the courts, I kept waiting for someone to address the central belief. There are many news reports that attempt to explore the claim that the four types (mainly IUDs and “morning after pills”) cause abortion rather than preventing ovulation. While not conclusive, my reading of the science leans toward the ovulation argument, but I’m not a definitive source. It seemed to me that someone would need to address this along the way. I was quietly stunned in reading the oral arguments that both sides emphasized that the plaintiffs “sincerely believed” that the methods caused abortions which was a violation of their religious beliefs. But nobody addressed the scientific claim. I remember reading that social science data on young girls and dolls was an important part of the Brown v. Board deliberation, so it seemed appropriate. The Hobby Lobby argument is that their belief that “life begins at conception” is a religious belief and that the mandate infringes on that belief with regard to the four contested contraception methods. Personally, I struggle with the application of language on “free exercise” of religion with a particular moral belief. There is a big difference between Native American peyote practice (the case behind the RFRA) and a specific belief. There are Christians firmly committed to Young Earth Creationism or that women should not have authority over men. Do these positions constitute the central place of religious belief? It’s not the same as being at risk for believing that Christ is the Son of God and Redeemer. For a society that seems to adopt a smorgasbord approach to religious belief [the Catholic Bishops just accepted the fact that 95% of Catholics disagree with the official position on birth control], how do we navigate if every set of beliefs is privileged by law? The Court determined that “closely held corporations” were protected by the RFRA. In other words, corporations that form around family enterprises (but not publicly traded companies) could have religious positions that must be considered. But as many have observed, Hobby Lobby as a company doesn’t appear to be organized around religious ends (except for being closed on Sunday). Many have pointed out that there are practices the company engages in that are hard to characterize as “Christian” (e.g., Jonathan Merritt’s piece in The Week). 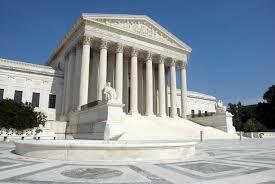 But the court’s argument seems to be that the values of the Green family extend to the rest of the corporation. This strikes me as problematic on a number of levels. We often attempt to distinguish one’s personal commitments from one’s corporate stance. This was the argument made around the Chick-fil-a CEO last year. But if one’s beliefs and story extend over all else, then how do we make decisions? This struck me the other night when I was watching Rising Star on ABC. I don’t normally watch these music competition shows, but a choir member’s niece was on when I was in Chicago so we all watched it together. What struck me was that the judges seemed less focused on musical ability or technique as on the back story. So the baseball pitcher who was blinded by a hit ball could now try to sing. The focus was on how much he’d overcome and what dedication he showed. People were commended on how they “brought it”, overcame nerves, or how their stories touched the judges. There’s a parallel in a focus on stories that show dedication, sincerity, and Christian commitment within the political sphere. The argument becomes about the ways in which the Greens live out their commitments of faith. But our stories are part of what got us to the current point of discussion not the be-all-and-end-all. And we need to figure out how our stories intersect with the stories of others. All of the justices were privileging story but they were privileging different stories. The majority focused on the Greens and the dissent focused on female employees of Hobby Lobby. At the end of the day, I can affirm Hobby Lobby’s interest in pursuing legal remedies available to them but I keep thinking that there was a stronger opportunity for a faith witness in not insisting on their way. These reflections can no doubt be challenged and I may modify my own thinking over time. For now, it seems like a decision that left a lot unexplored. We will no doubt be revisiting this case and others like it in the future. Yes, Adrianne. That was one of the stories I followed from early on. There were also some in the Times and the Atlantic. That’s why I think the evidence suggests that preventing ovulation is the most likely impact of the drugs.